The forests of Malaysia are all cut up and turned into Oil Palm Plantations. Miles and miles of palm trees that produce these fruits that are turned into oil for cooking and cleaning products. Have you ever used Palmolive soap? Palm-ol-ive is made from this. 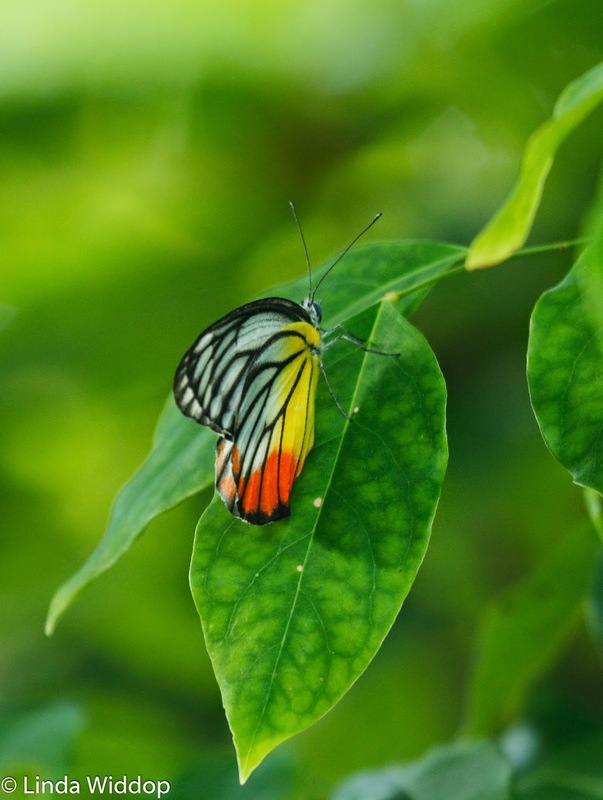 The forests that remain are the homes to the many animals that once roamed all over Asia including Elephants and Tigers. We didn't see either of these but we did see giant Elephant poop along the road which indicates that they are around. We did see some interesting animals including this Asian Bearded Pig. She's a real lady - you can tell by the high heels. The most common animals that we saw were monkeys. We saw 5 species of monkeys throughout the trip. 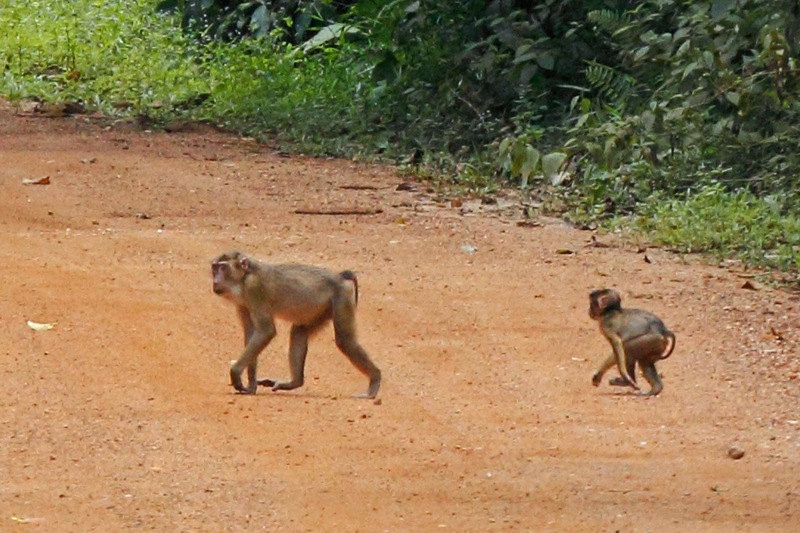 The first were Short-tailed Macaques - a whole troop of them crossing the dirt road including this Mom and youngster. 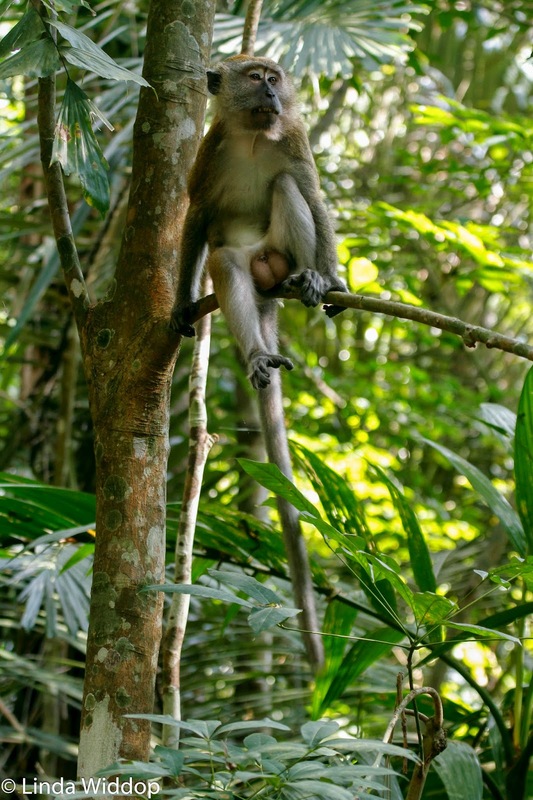 The most common monkey was the Long-tailed Macaque. We saw lots of them along the road and also in Singapore. These photos were taken on Palau Ubin which is a future post but you get to see the difference in tail length if I show the comparison here. Look at the length of that tail - not to mention the size of those testicles. Geez! 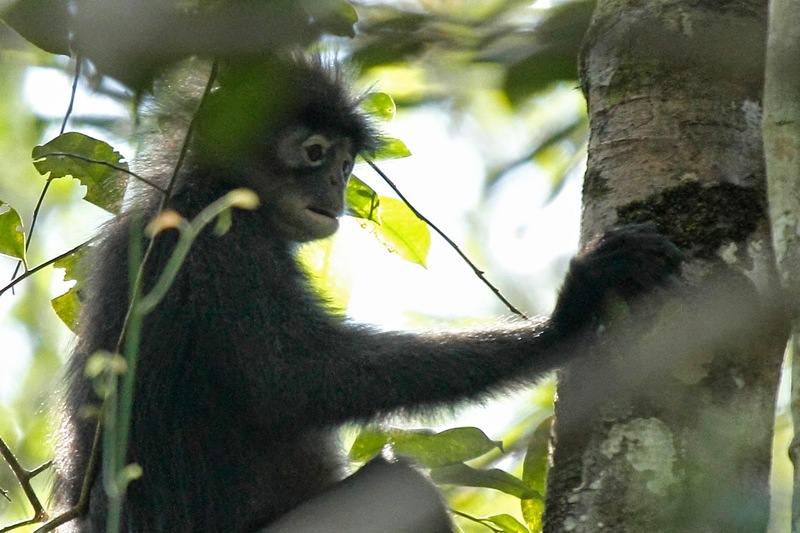 We heard other monkeys in the forest and were fortunate enough to get a close view of one species of Leaf Monkey. This guy reminds me of Michael Jackson in his later years. This is a big monkey but not as scary looking as the Macaques. 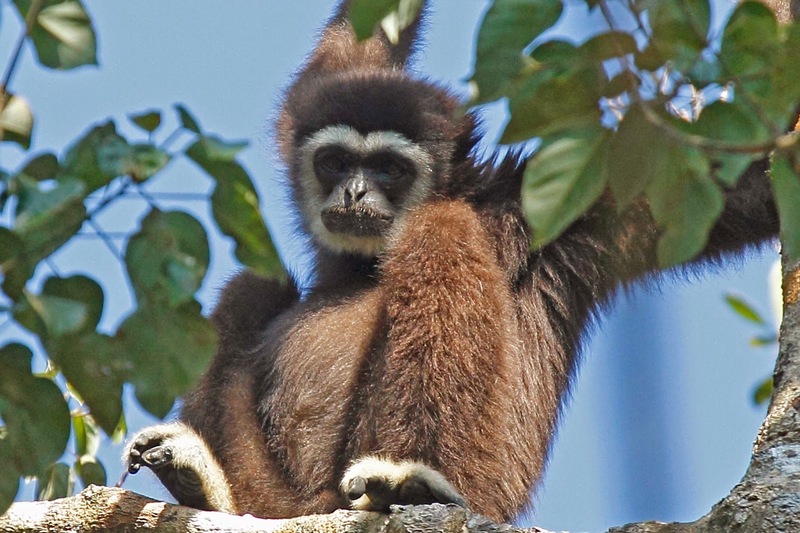 The star of the monkey show had to be the White-handed Gibbons. You could hear them from a mile away howling. 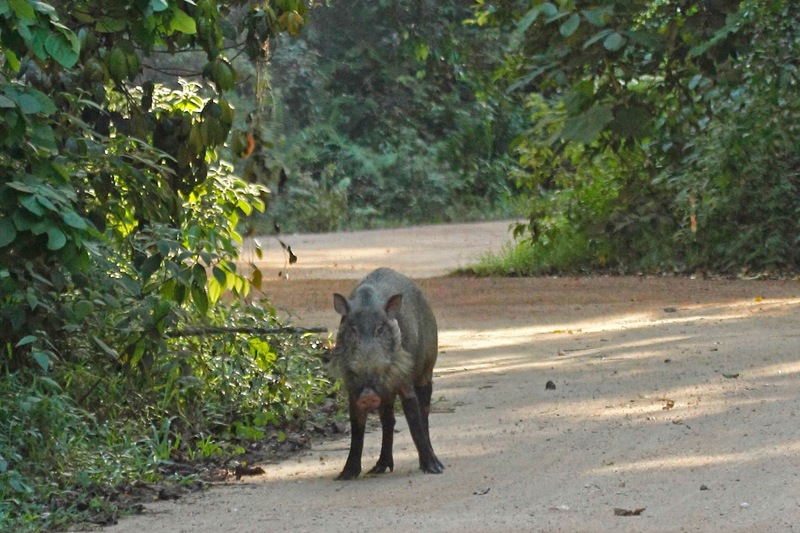 We couldn't believe our eyes when we saw this guy hanging out by the road. His howling gave him away. He continued for 5 minutes while we sat in the car staring back at him. Di took this video on my iPhone while I was snapping the photos above. 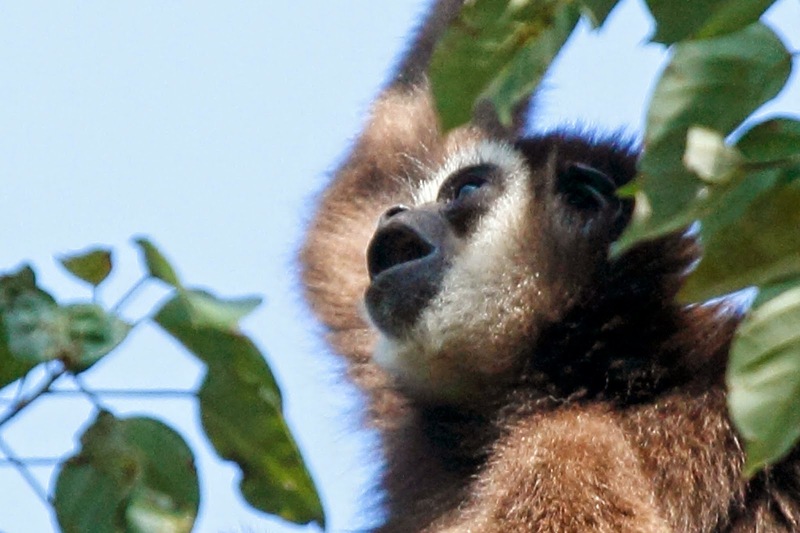 You can hear him howling and see him swinging through the treetops just like a monkey! That was a special encounter for sure. We found a bat cave too. The local people build shrines in the woods. This one is built to thank whatever god for winning lottery numbers (not kidding). There are winning lottery numbers written on the cave. There are also bats in this cave. 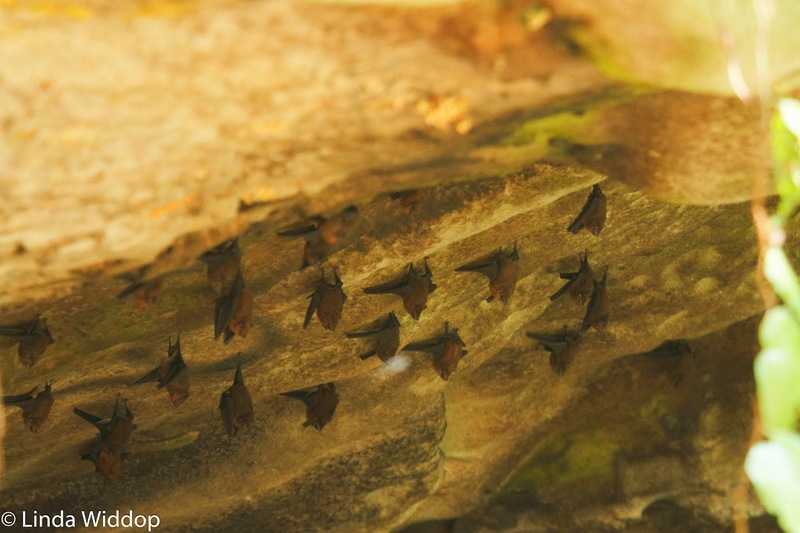 Lesser Sheath-tailed Bats to be specific. 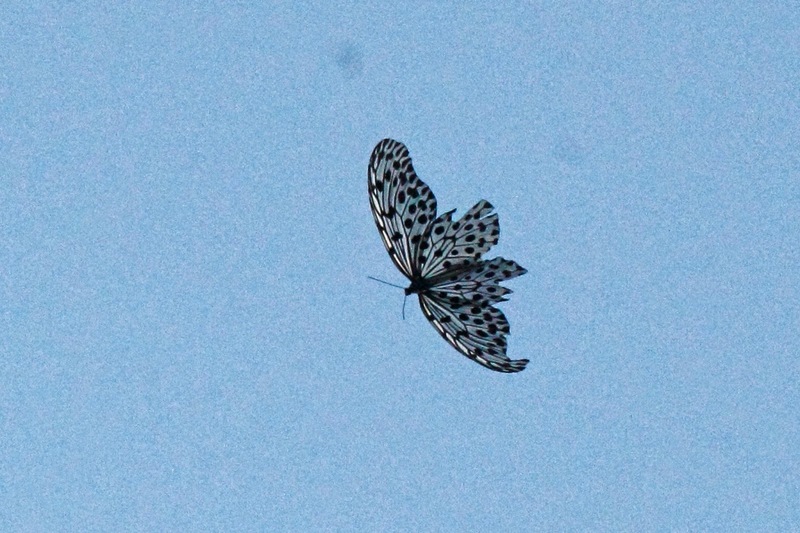 Butterflies abound in Malaysia too. This is some type of Wood Nymph that floated effortlessly. And another common butterfly that was pretty colorful. And sadly, this giant moth that we found dead in the woods. More about our adventures in Singapore coming soon. Its nice to have a working computer again.